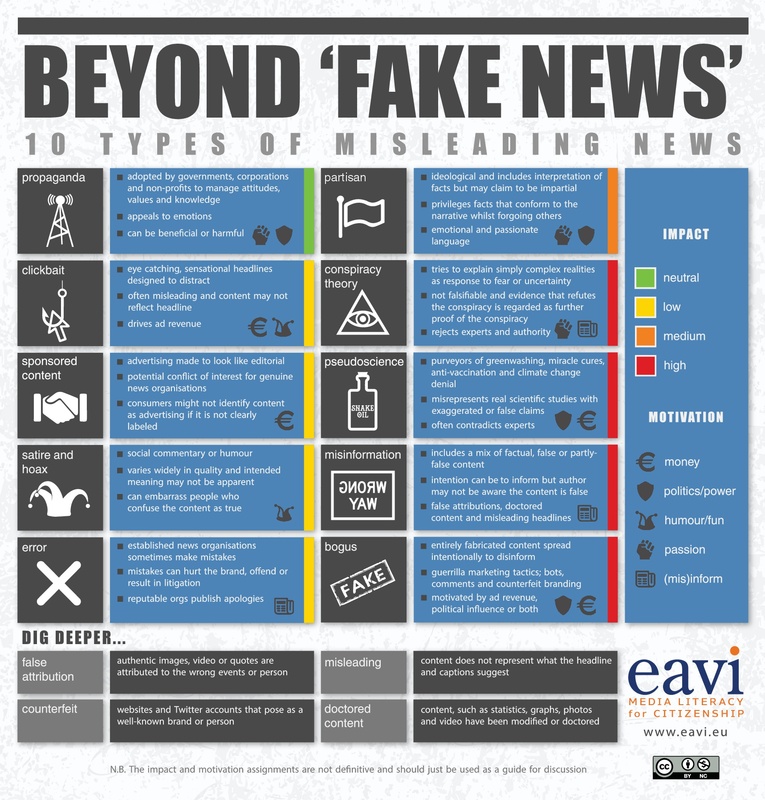 This infographic by EAVI (July 2017) distinguishes between10 type of misleading news: propaganda, clickbait, sponsored content, satire and hoax, error, partisan, conspiracy theory, pseudoscience, misinformation, and bogus. Neither of the 10 types can be seen in isolation to the others as they might be somehow related. The infographic also takes into consideration the motivations for misleading news, that can be many and varied, and may include motivations as money, power, humour, misinformation and passion. A third level taken into account by the infographic is the impact level. The infographic can be used in conjunction with the Center for Media Literacy’s 5 media literacy concepts and questions . It is available also in: Greek, Dutch, French, Spanish, Portuguese, Italian, Polish, Russian, and German.